Every time you even think about visiting a dentist, you flinch. Even though you clearly need some work done, you put off making the appointment. When you finally do make that appointment, you sit in complete fear and anxiety in the Owing Mills waiting room, hoping for a miracle that somehow you’ll be overlooked or magically your appointment will be cancelled. You are not alone – you are in good company. Dental fears affect 1 in 4 people. It is a major stumbling block for many people. 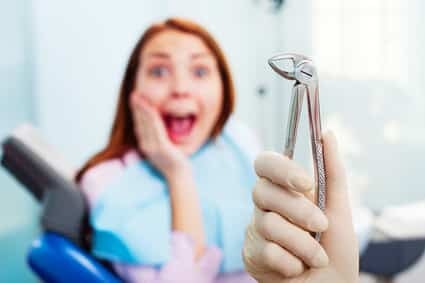 Individuals that are otherwise clever and rational people suddenly jeopardize their health because of the anxiety and fear built around a trip to the dentist. 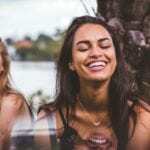 So, what is sedation dentistry? Sedation Dentistry is also called Oral Conscious Sedation; you will not be under general anesthesia. You will simply spend the day under the effect of a drug, a drug that allows you to relax and allows all your anxiety to just melt away. 1. To overcome anxiety associated with a visit to the dentist. 2. To include more extensive treatment in less time. Sedation allows for more to be accomplished in just one appointment. Your beautiful smile is completed in a shorter amount of time! Cosmetic Makeovers with porcelain veneers, restorations (crowns, caps, fillings) or implants can be completed easily and comfortably during sedation. How exactly, does sedation dentistry work? Before you come to our Owing Mills office, you take a little pill. Your fears will vanish into thin air. As an added bonus, many patients say they actually forget their entire experience. The time spent in the dentist chair will feel like mere minutes. Of course, everyone’s experience is different. While your treatments are being executed, you will be constantly and closely monitored at all times, with high-tech medical equipment. Additionally, Dr. Imm and/or one of his experienced dental assistants will be at your side the entire time. Not only is sedation dentistry pain-free and stress-free, it is extremely safe! This will make sure you’re not bothered by what is going on. There is a good chance, you might not even remember your appointment. With sedation dentistry, there is nothing to fear. It’s time to take back the control of your dental health. No more discomfort. No more pain. 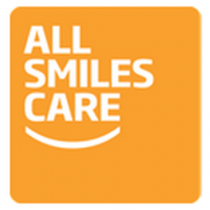 Call All Smiles Care today and find out how Sedation Dentistry can literally change your life … for the better.